Winter time humidity is a big issue. As the weather turns colder and the heaters start working 24/7 then the indoor air will start drying out. Breathing dry air is a potential health hazard which can cause such respiratory ailments as asthma, bronchitis, sinusitis, and nosebleeds, or general dehydration since body fluids are depleted during respiration. 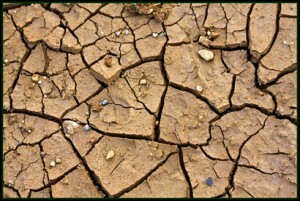 Skin moisture evaporation can cause skin irritations and eye itching. Irritative effects, such as static electricity which causes mild shocks when metal is touched, are common when the air moisture is low. The “apparent temperature” of the air is lower than what the thermometer indicates, and the body “feels” colder. As your body fights the dry air you start to use up your vitamin A stores. 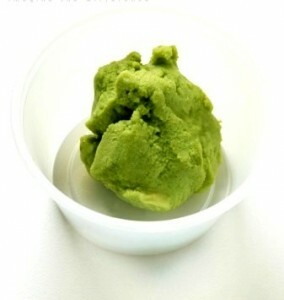 This enhances the dry skin and sinus problems as well as weakens your immune system. 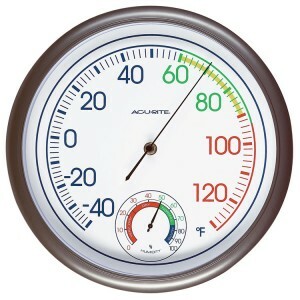 It is important that you have a humidity gauge in each bedroom and a cool mist humidifier to combat the dry air. 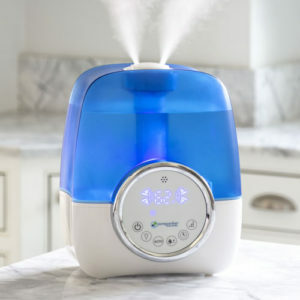 I recommend the ultrasonic humidifiers as they put the most water in the air. Drier air causes sinuses to dry and crack, making people more susceptible to winter colds and flu viruses. In fact, this change from higher outside relative humidity to lower indoor relative humidity in the winter is a significant contributing factor in the spread of colds and flus. By maintaining the proper level of humidity indoors, you reduce illness in the winter. Studies have shown that the body’s immune system will function better when the relative humidity in a home is between 45%-65%. Pneumococcus, staphylococcus, and streptococcus bacteria die up to 20 times faster at a relative humidity between 45% and 55%, than above 70% or below 20%. Dehydration can also cause negative health effects. Symptoms of dehydration include dry skin, chronic joint and muscle pain, raspy throat, sinus and nasal pain, sore eyes, a lack of mental concentration, and a decrease in the body’s immune system. Dry air can cause or irritate sinus problems, but inhaling moisture can help. Simply breathing the steam from a hot shower will ease congestion. 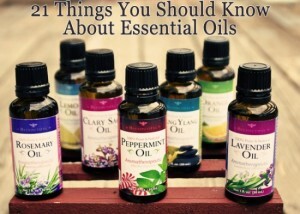 You can also enhance the steam you breathe with sinus-clearing essential oils. Once or twice a day, add five drops of eucalyptus (Eucalyptus globulus), lavender (Lavandula angustifolia), or sandalwood (Santalum album) essential oils (or a combination) to a large bowl of steaming-hot water, suggests Sylvia Goldfarb, Ph.D., of Wyncote, Pa., author of Allergy Relief (Avery Penguin Putnam, 2000). Drape a towel over your head and the bowl, and breathe deeply for 10 minutes. You’ll feel relief within that time. To treat acute sinusitis, substitute tea tree oil (Melaleuca alternifolia) and repeat the sinus steam three to four times daily. 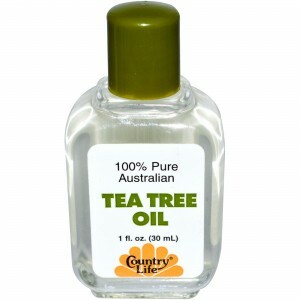 Tea tree oil’s powerful antibacterial properties fight the bacteria that cause many infections,” says Karen Barnes, N.D., a naturopath in Burlington, Ontario, and author of Naturopathic First Aid (Quarry Press, 2001). Your symptoms should clear up within a few days. Rinsing your sinuses with saltwater helps them drain mucus. Studies show that this significantly reduced symptoms like pain and inflammation in more than 2/3 of sinusitis sufferers. Heatley says recommending nasal irrigation to her patients cut the number of sinus surgeries she performed in half. 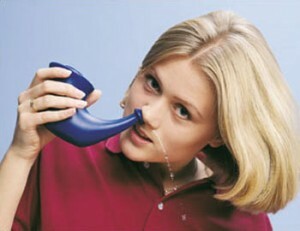 To rinse your sinuses, use a neti pot, a small teapot-like device sold at most natural food stores. Combine three parts non-iodized salt and one part baking soda, and add 1/2 teaspoon of this mixture to 1/2 cup of warm water in the pot. This solution matches your body’s salinity, and baking soda makes it less irritating to your sinuses. Lean over a sink and insert the spout of the pot into your left nostril. Tilt your head and the pot to the right and let the solution flow out your right nostril. Exhale forcefully through both nostrils and repeat on the other side. Repeat as needed. The zing of certain spices opens clogged sinuses and promotes drainage. As condiments, use hot salsas or chutneys that contain chiles, or sprinkle cayenne pepper on your food, recommends Goldfarb or use wasabi. 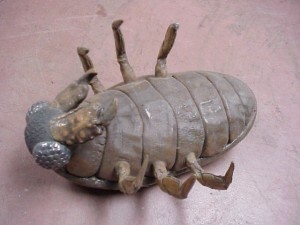 This entry was posted in Knowledge Base and tagged acupuncture, Breathing, child, congested, DIET, Dr. keefe, drugs, energy, Fatigue, health, Homeopathy, Humidity, life, natural, Natural Healthcare, pain, Sleep, subluxtion, tulsa chiropractor, WATER by DocJohn. Bookmark the permalink.